Born out of love for this great country, MoJo 5-0 is a spoken word, 24-hour digital radio platform brought to you from a Libertarian perspective! A Conservative’s Perspective is an hour long look at the issues, both foreign and domestic that affect us in our everyday lives as well as what the future may hold based on policy decisions our leaders make now. Listen live on MoJo50.com or iHeartRadio at 4p ET Sundays. Join Mike Filip in the quest to find out why things work the way they do, and be careful not to spew coffee out of your nose in the process! Listen on Mojo50.com and iHeartRadio at 1p ET, Saturdays. My name is Watson Prunier, SOC. I am proud to be a believer in Jesus Christ, husband to the most beautiful woman in the world, father to four amazing kids and to be an American. My goal is to try to cover important topics but measure them against my biblical worldview. 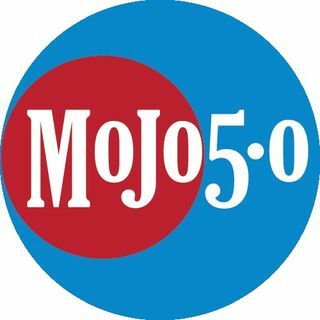 Find me on MoJo 5.0 Radio on iHeartRadio. Conservative Nation - Discussing the disease of liberalism and how it has destroyed the families of America. Listen live on Mojo50.com or iHeartRadio. Weekdays at 6a ET. Donna Fiducia and Don Neuen team up each week to deliver headlines and interviews with high profile guests. The combination of Fiducia / Neuen provides humor, as well as highly vetted information on a wide variety of subjects from politics and current events, to military intelligent and foreign affairs. Listen at 10p ET, Tuesdays on ... Más informaciones Mojo50.com or iHeartRadio. Steven Airey bring topics and news of the day without the spin and political correctness. There is even an occasional bout of humor thrown in, just to keep things interesting. Tune in Live Week Nights 9PM EST and Like, Share and Follow @DOAEShow on Facebook, Twitter and Youtube. Also, check out doaeshow.com for articles, show archives ... Más informaciones and so much more! Election 2018 - LIVE Coverage from D.C.
Join MoJo 5.0 Radio for LIVE Election Night 2018 Coverage from FreedomWorks HQ in Washington D.C.
Join Whiskey 6ix and the MoJo 5.0 Jackholes for news, discussion and commentary. LIVE on the MoJo 5.0 Radio network and iHeartRadio. Sundays at 8p ET. Get the REAL TALK from John Griffing, a frequent political contributor who is published across an array of conservative media, both in the realm of commentary and research. Right Now with Jim Daws is a webcast covering news, politics & culture from an America First perspective. Find us on iHearRadio, Mojo50.com, YouTube, Facebook, Twitter & most podcast directories. Please support this program by clicking here: www.paypal.me/rightnowjimdaws. Join Jeremy Leahy for Standing Ground weekends at 10pm ET on MoJo 5.0 Radio. Tailgating Time with David Carson and Brad Watkins are the friends you want to be partying with on game day. Join David and Brad during their tailgating time at 11a ET Saturdays on Mojo50.com and iHeartRadio. Join Rocki, Jaina and Sami for The Belles of Freedom Saturdays at 2p ET on MoJo 5-0 Radio and iHeartRadio. The #1 Political Talk Show in central PA with Big Sarge. Dropping bombs on the leftists since 2005. Listen live on Mojo50.com or iHeartRadio. Saturdays at 8p ET. With topics ranging from public education and world markets through to cultural events and politicians’ antics, the Generation Y Conservative is bound to be an entertaining voice for the younger generation. Listen at 5p ET on Sunday on Mojo50.com or iHeartRadio. Matt Holloway is a millennial, constitutional, conservative commentator and writer in the Phoenix, AZ market. Listen live at 7p ET on Saturdays on MoJo50.com or iHeartRadio. policy while holding strong views of social issues. Listen to The Informant on Mojo50.com and iHeartRadio, Daily at ... Más informaciones 2a ET. The Mighty Oaks Show brings a perspective of faith to military and current events. The Mighty Oaks Show gives us a platform to spread awareness about the core issues that Mighty Oaks impacts, namely the veteran suicide epidemic. Listen every Saturday morning at 10a ET on Mojo50.com or iHeartRadio. Join host Pat Oney for The Pat Oney Show on Mojo50.com or iHeartRadio. Saturdays at 4p ET. Dominick Izzo is a former 16 year veteran police officer, public servant, political candidate and Warrior for Christ. Join Dominick on The Rants of Izzo LIVE, weekdays at 7p ET. Together, the Sorbos have ventured into film production. Let There Be Light (2017), which Sam co-wrote, opened in ... Más informaciones theaters to great acclaim, second in per screen average only to Thor: Ragnorak. Their most recent collaboration is the comedy Miracle in East Texas: A Tall Tale Based on an Absolutely True Story (early 2020). Broadcast from an undisclosed location in North America... Rocci Stucci is in The Situation Room! Bill Freitas & Jennifer Torres give political correctness an atomic wedgie & solve the world's problems one hour at a time. Listen live on Spreaker.com, MoJo50.com or on iHeartRadio, Sundays at 8a ET. I believe in GOD, FAMILY, COUNTRY in that order. I am a realist I believe in the people of this country. I believe in the constitution and the foundations this country was founded on. I believe our founding fathers were brilliant men and their ideas have elevated the human condition around the world, but especially for the citizens of ... Más informaciones the United States of America.